They have short reddish brown to tawny grey fur, long legs and large ears. They stand 18″-26″ (45- 6cm) at the shoulder and weigh 40-90 pounds (16- 2kg). Dense mountain and bottomland forests, marshes, swamps, and coastal prairies. Once found from central Texas to southern Pennsylvania to Florida. Rabbits, muskrats, nutria, and other small animals” they tend to hunt alone or with their mate. Usually solitary or in small immediate family units of 3-4 individuals. The breeding season is January to March. Females give birth to 4-7 pups after a 58-65 day gestation period. Red wolves were brought to the brink of extinction in the wild due to hunting, trapping, poisoning and extreme competition with coyotes. 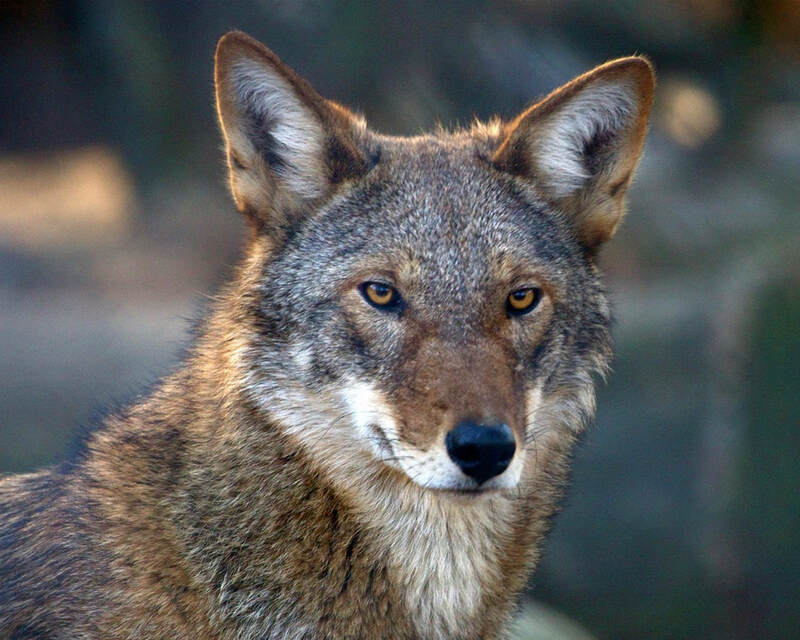 With the help of zoos and the American Zoo and Aquarium Association’s Species Survival Plan (SSP), wild Red wolves were captured and bred in zoos. In 1987 a reintroduction program was started in North Carolina. 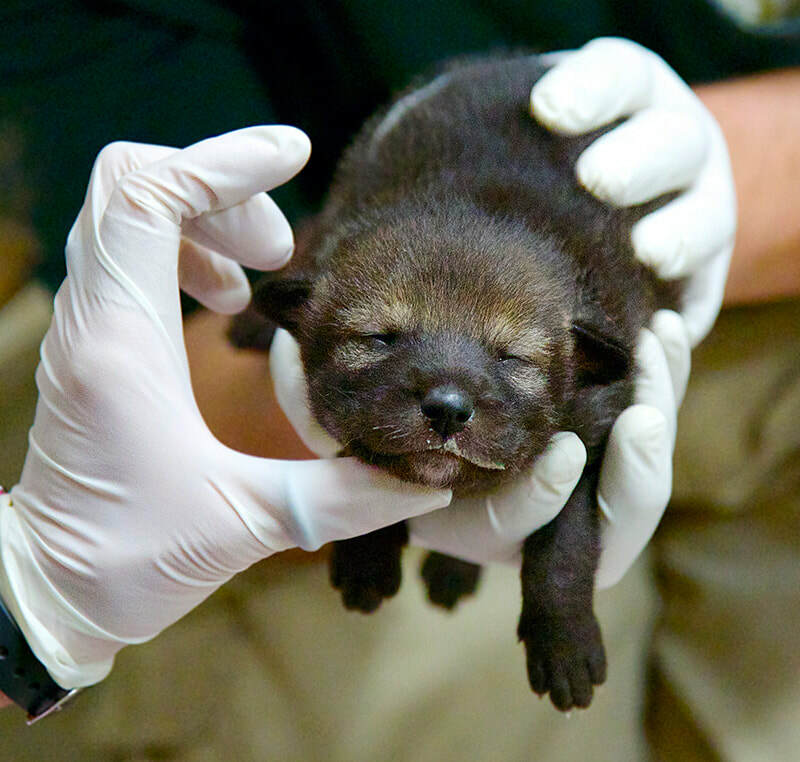 Connecticut’s Beardsley Zoo contributed eight wolf pups, bred right here in Bridgeport, to this reintroduction program.